Home › Valley of flowers › What type of shoes is appropriate for Valley of Flowers? This is very important question as life can become hell if you are not carrying right type of shoes on your trek to Valley of Flowers. 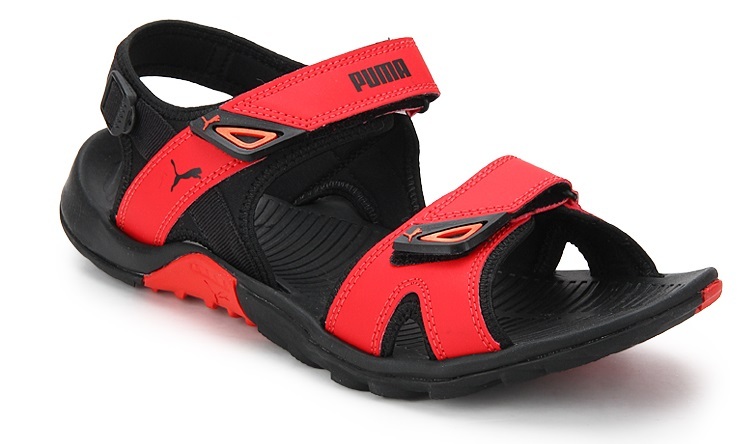 There are various options for shoes like sports shoes, leather shoes or floaters. I have seen some crazy people even trekking bare foots into the Valley of Flowers. When I asked about it the answer was that they lost their shoes near Hemkund Shahib Gurudwara. Those Sikh people even walked bare foot over glaciers. But everybody of us can not be so rough and tough. Already we will be working very hard while trekking and right type of gears are very important specially shoes. Type of shoes that should be avoided. Sports Shoes: Sports shoes should be avoided for trekking as they are not so rough and tough and they are made up of cloth. 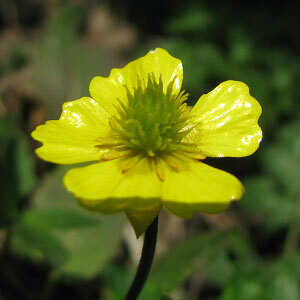 Once they get wet it is very hard to dry them in cold and humid weather of Valley of Flowers and Ghangaria region. Old Shoes: Old shoes should be avoided because they may get broken on the way itself as the trek is full of rocks and lot of pressure is exerted on shoes. Shoes should be new but you should wear them for at least fifteen days before coming for the trek as new shoes can bite and cause blisters. Old shoes can be comfortable but may break any time on your trek. 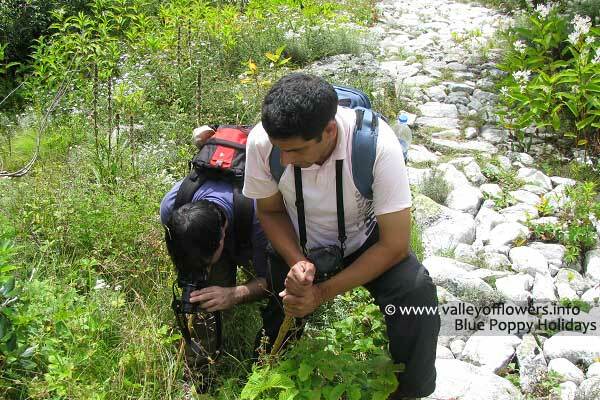 This has happened with one of my client during September 2012 visit to Valley of Flowers. You can read his travelogue here. 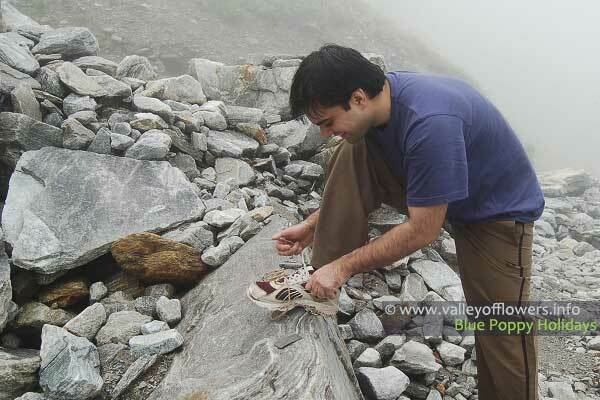 I have seen lot of shoe soles laying on the trek explaining that old shoes can leave you anytime in the middle of the trek. Shoes should have nice grip: If you are coming before 25th July you will have to walk over glaciers on your trek. For this your shoes should have a nice grip under its sole. Ankle Support: Prefer the shoes which have some ankle support to protect you from tissue raptures in case you bend your ankle by mistake due to rocky trek. Water Proof: It almost impossible to get full water proof shoes. But you should avoid sports shoes for the reason that they are made up of cloths and foam. Once they get wet it is very difficult to dry them. 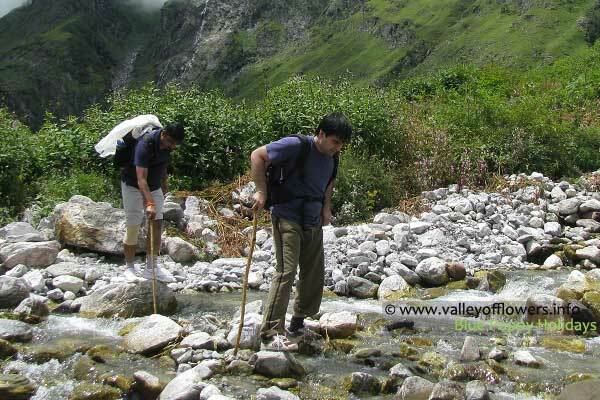 You need to cross 3-6 shallow streams on your trek inside the Valley of Flowers depending upon how deep you go. (See the pictures below) Actually no shoes can resist water and you will have to take them off before crossing the stream. I recommend to not being lazy in taking off your shoes or in 9 out of 10 times you will end up wetting up your shoes and after that you can imagine how you will trek with wet shoes. I personally believe even floaters are better choice sometime as you need not take them off but not recommended for people who feel colder. The risk with floaters is that they are not recommended to walk over glaciers and you will be prone to ankle twist. You will have to cross 4-6 water streams in you trek to Valley of Flowers. Heavy built Woodland shoes with nice grip on its sole and with ankle support are recommended for the trek with a backup of a pair of floaters in your bag. 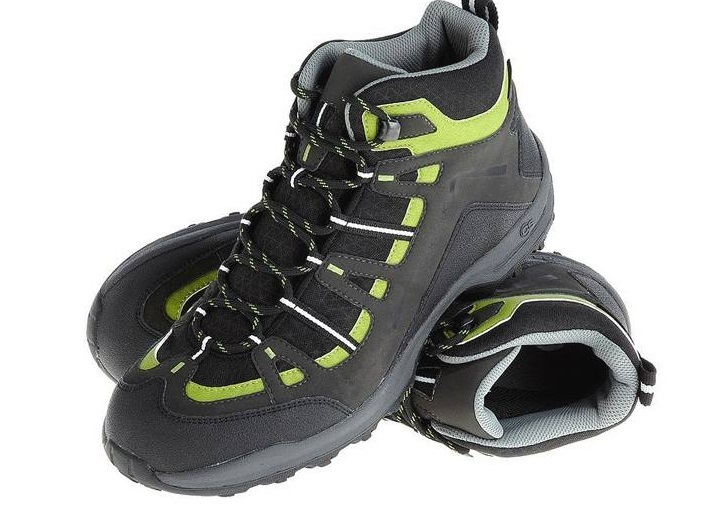 You can also try QUECHUA hiking shoes. They are not so costly and can be ordered online. ‹ Minimum age to visit Valley of Flowers, Whether kids can be taken for Valley of Flowers trek. I understand the problems with sports shoes. But i feel woodland shoes are heavy for a long trip. 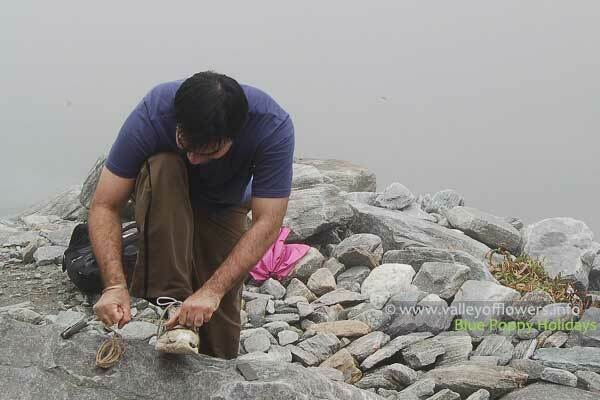 I once went on a moderate trek in Nainital with woodlands shoes and had a tough time. Though the shoes are meant for trekking, it slows down and my legs are tired within 2 hours. do you suggest any other option? I am doing Vally of Flowers on 13 September 2015.If I use floaters for trekking will it be ok.I have done trekking in Madhya Pradesh with floaters where there was contionueous raining but climate was not very cold.I was very comfortable with floaters there.Here I am worried as climate is cold.So will u recommend floaters for trekking. To know more about what kind of shoes you need kindly visit this http://www.valleyofflowers.info/what-type-of-shoes-is-appropriate-for-valley-of-flowers/ page. Hi. I am going to Valley of Flowers on 27 July. I went to Woodland store to buy a pair of trekking shoes. But the smallest pair was also too large for my feet. I was told by some trekker friends that Woodland shoes are slippery. Please suggest some other brand. Yes they are right that Woodland shoes are slippery on flat and wet rocks. You can look for any other brand with the characteristics as told in above article. Is there any other alternate brand/shoe type available as woodland shoes are not commonly available especially ankle covering. Also what option do you have for women?? Are sturdy floaters good enough? I personally like floaters and you can also opt for them. If you take care that while trekking keep your eye on the trek. They are very nice when others wearing shoes has to take off their shoes and you can simply walk through some shallow streams. But you may suffer from snow bite if you coming in early July. You will be trekking over some Glaciers as well. Instead of brand please see the features of the shoes.